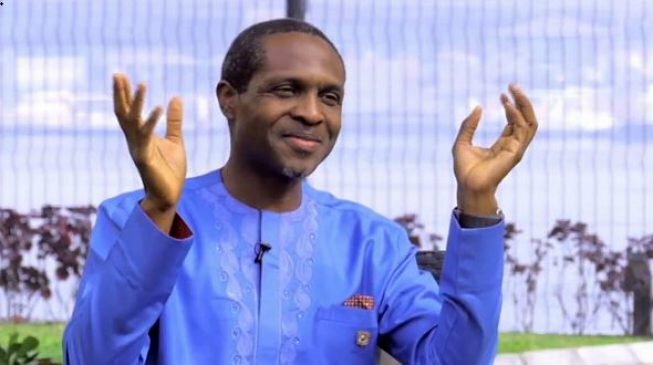 Tonye Cole, governorship candidate of the All Progressives Congress (APC) in Rivers, says he accepted to run because of the yearning for a new leadership in the state. Cole, a billionaire entrepreneur, had emerged candidate of one of the APC factions in the state loyal to Rotimi Amaechi, the minister of transportation. In an interview with Vanguard, Cole said Amaechi convinced him to join the governorship race. “He said to me there was need for a different type of politics in Rivers. That he and the people of Rivers were yearning for peace, yearning for wealth creation and distribution. They were yearning for a leader that can impact people at the grassroots and make them feel that the money that comes to the state, which is a lot, can actually impact their lives on daily basis. Rivers State is yearning at this moment for someone who they know is not going to steal their money. And that is why I took it,” he said. He explained that Amaechi’s backing of his candidacy has nothing to do with business interest as it is being rumoured. Cole said: “As far as I know, Rotimi Amaechi and I have never done any business together. I ran a business for 23 years. In that business I dealt with government at all levels, in Nigeria, Ghana, 23 African countries. I have dealt with ministers, governors, presidents. Now, how many of them would I have business relationships with? It is absolutely impossible. Cole said he can match Nyesom Wike, the incumbent governor who is seeking re-election, adding that the people will decide when they cast their votes. The supreme court had nullified the congress that produced Cole, but the APC maintained that he is the party’s candidate in the state.